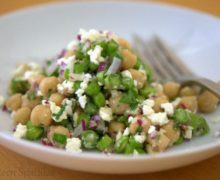 This healthy and vibrant salad has thinly sliced asparagus coins, tender chickpeas, and feta, and only takes 10 minutes to prepare! 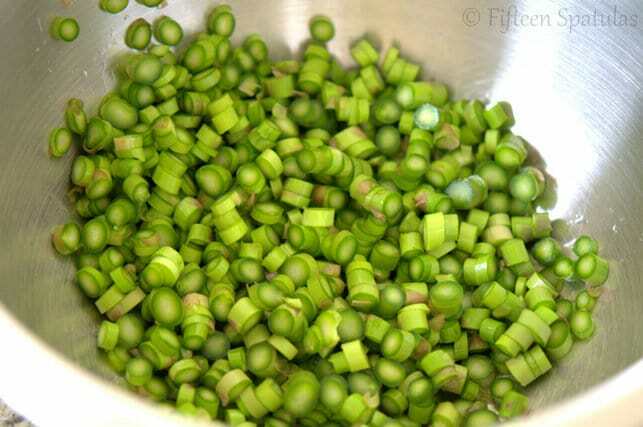 What are your refrigerator staples? You know, the healthy things you keep in the fridge to keep yourself from snacking on other things. This asparagus coin and chickpea salad is one of my fridge staples. Whenever I see super fresh pencil-thin asparagus at the store, it gets taken home for this. Why do I say super fresh? Because the preparation of the asparagus here is just to slice it up into “coins,” and yes, it’s raw. But if you’ve never tried asparagus this way, I think you’ll be surprised by how addicting it is. I always go back for a second scoop…and sometimes a third. 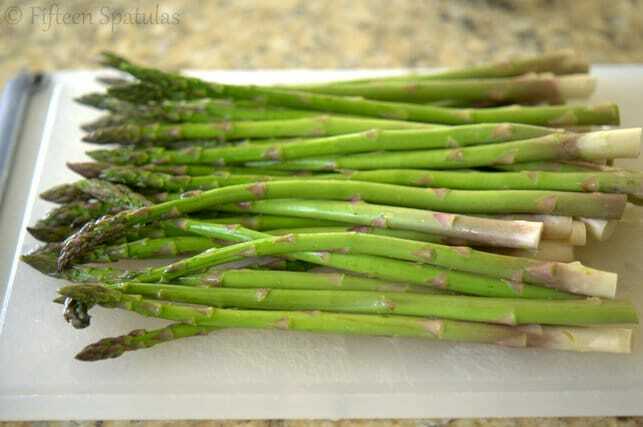 Start by snapping off the woody ends of the asparagus spears. Since we’re eating these coins raw, we want the tender upper part. Whether or not you include the tips is up to you. 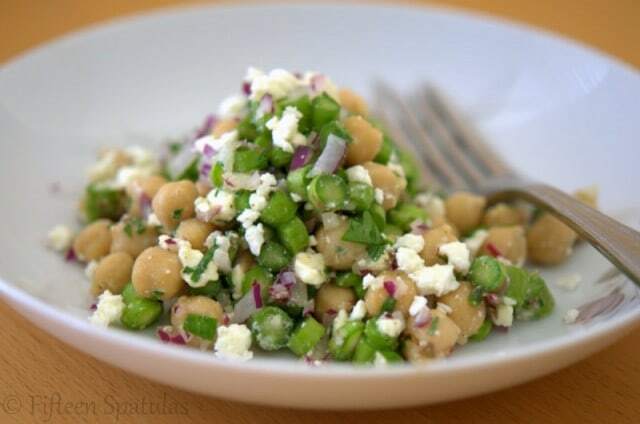 Chickpeas, red onion, feta, parsley, and a lemony vinaigrette. Mmm. A simple summery salad with no cooking, no hot oven, and no hot stove involved. Hip hip hooray! 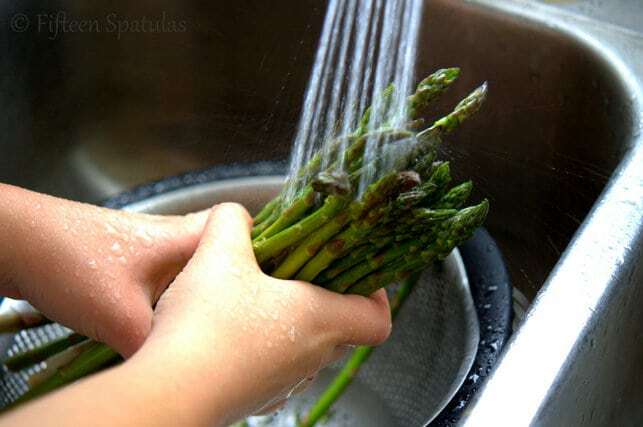 Rinse the asparagus very well, then dry them well with a paper towel (you don’t want excess water diluting the dressing). 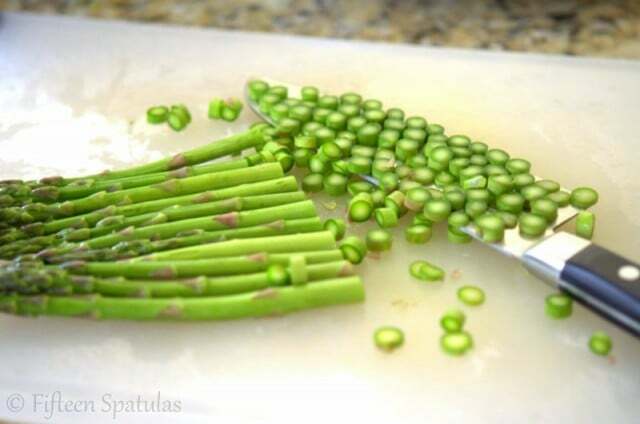 Snap off the tough, woody ends and slice the asparagus spears into thin little asparagus coins. Throw the asparagus coins into a bowl, and add the chickpeas, minced red onion, parsley, crumbled feta, lemon juice, olive oil, and vinegar. Add a big pinch of salt and pepper. Toss it around and taste. Make any necessary adjustments to suit your personal tastes, then leave it in the fridge for at least a half hour to let the flavors meld a bit. Enjoy! After a Six Month Hiatus…Videos Are Back! My husband will love this! 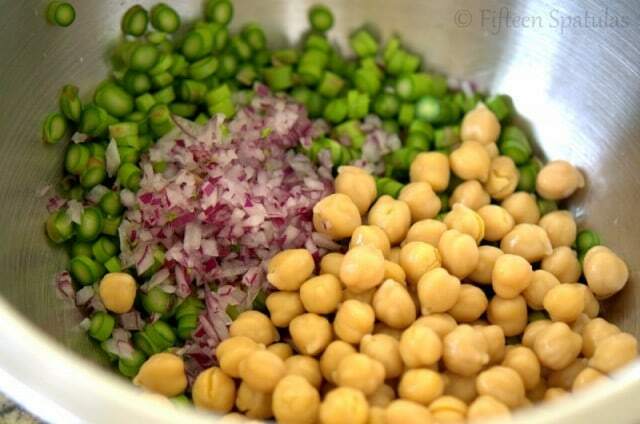 He’s a garbanzo bean freak, so I’m always looking for new ways to prepare them. Thanks! I love garbanzos too. I think they’re my favorite bean! Hope you all enjoy the salad. Love this! Asparagus is everywhere right now. I prefer the skinny ones as well! I just made this salad with your Turkey feta basil burgers and they were both absolutely delicious! Fantastically refreshing summer meal. I’m taking the leftover salad for lunch tomorrow and mixing in some leftover grilled chicken from last night. Can’t wait! Hi Tonya, that is so fantastic. 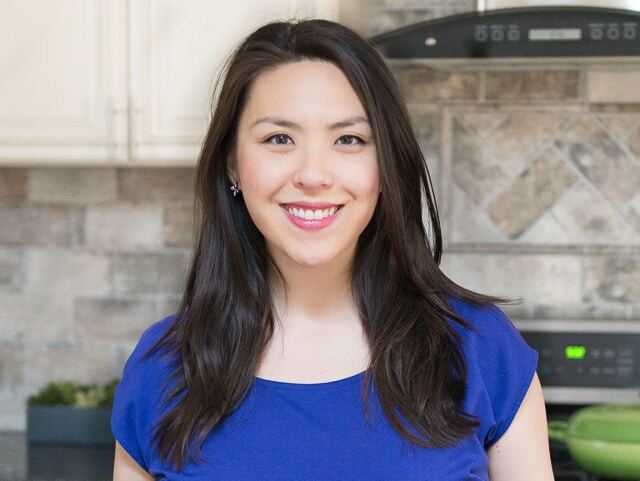 I’m happy that you enjoyed both dishes so much and have some leftovers to look forward to. Happy cooking!